Kimi Raikkonen says he finally had the “good feeling” from his Ferrari he has been seeking all year in Singapore ahead of the Japanese Grand Prix. Raikkonen has struggled for one-lap speed this year and has been out-performed by Fernando Alonso in all but two races in 2014. Qualifying in Singapore was promising for Ferrari, with Raikkonen first in Q1 and then second in Q2 before a software problem in Q3 restricted him to seventh on the grid. Despite going on to finish eighth, Raikkonen left Singapore feeling happy he had found the front-end feeling he craves from the Ferrari. “In Singapore, we finally had the speed to put together a quick single flying lap in qualifying, as the car behaved the way I’d been hoping for,” Raikkonen said. “It was just a shame we could not maximise the performance of the car because of a minor issue before the last flying lap. 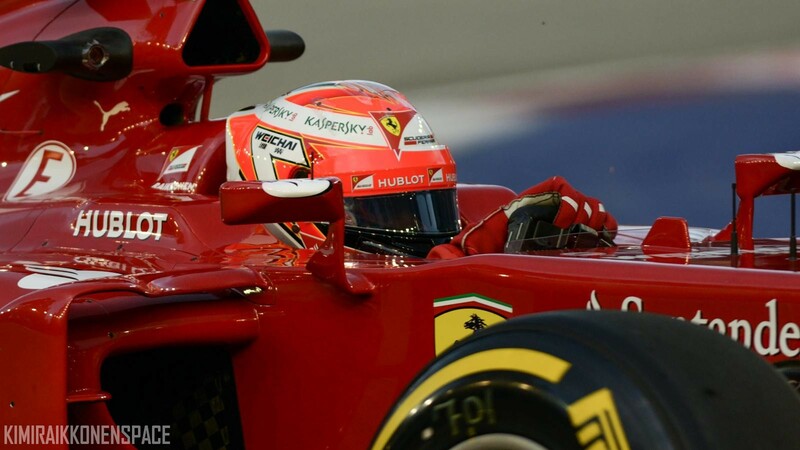 Raikkonen admits there were times this season when his Ferrari was acting too unpredictably for him to be competitive. Previous Kimi: Spa is my favourite but Suzuka comes close!